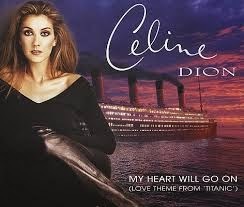 In the 1997 movie Titanic which was written produced and directed by James Cameron, which stars Leonardo DiCaprio, Kate Winslet, Kathy Bates, Bernard Hill, Billy Zane, Bill Paxton, Frances Fisher and Jonathan Hyde has a theme song titled "My Heart Will Go On" which was sung by Celine Dion became one of the best-loved and most popular movie theme songs of all time. Would you believe that it was done in only one take? 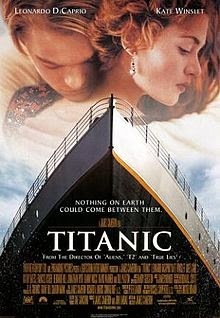 It has also won in the 1997 Academy Awards for Best Original Score and has sold over 15 million copies worldwide. 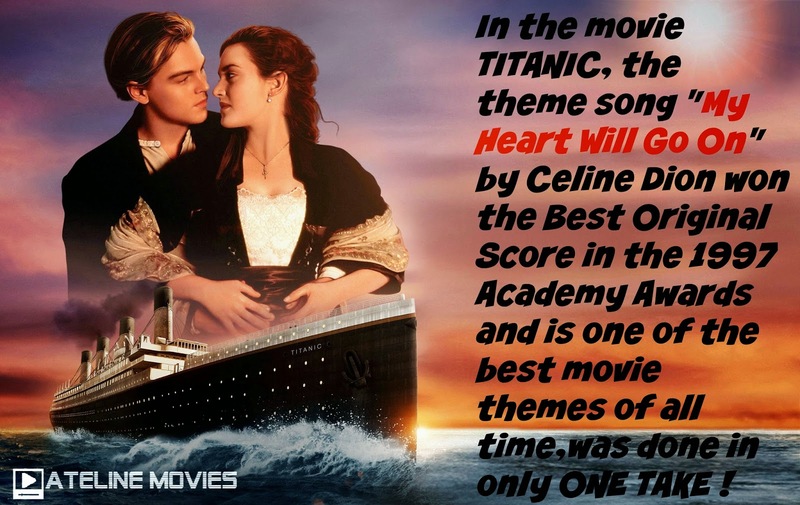 The song was also ranked at number 14 on American Film Institute's 100 Years...100 Songs, which was done by AFI to celebrate and honor the 100 greatest songs in American film history. Good guidelines! Thanks a lot. I am in love with your blog really.